When it comes to jewelries, most people will usually think of earrings, necklace, and bracelets, all of which are what we will use to decorate ourselves. However, you may forget other wonderful accessory for you–the brooch. In the past time, brooch is one of the popular decorations and especially from the eighteenth century through the Victorian era it was fashionable for people to wearing brooch. Now, it is also a wonderful decoration no matter for formal occasion or casual occasion. Besides the function of decoration, you can also use it to cover the dirt that you may be careless to make. So you can take one when you go out. So do you want to have one ? Today, I will share several kinds of brooch with you. I hope you will love them. 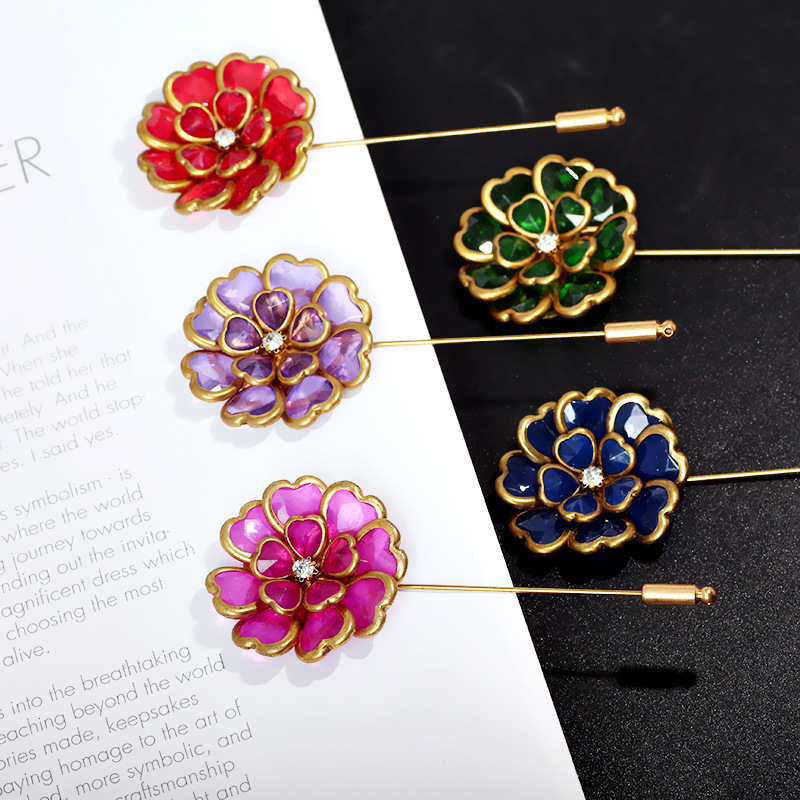 The crystal flower brooch is the one I love most because its design is very simple and the flowers look so chic. You can use it decorate your a white t-shirt without any patterns and you can also use it decorate your plain dress. Five kinds of colors are provided so you can decorate clothing of different colors. 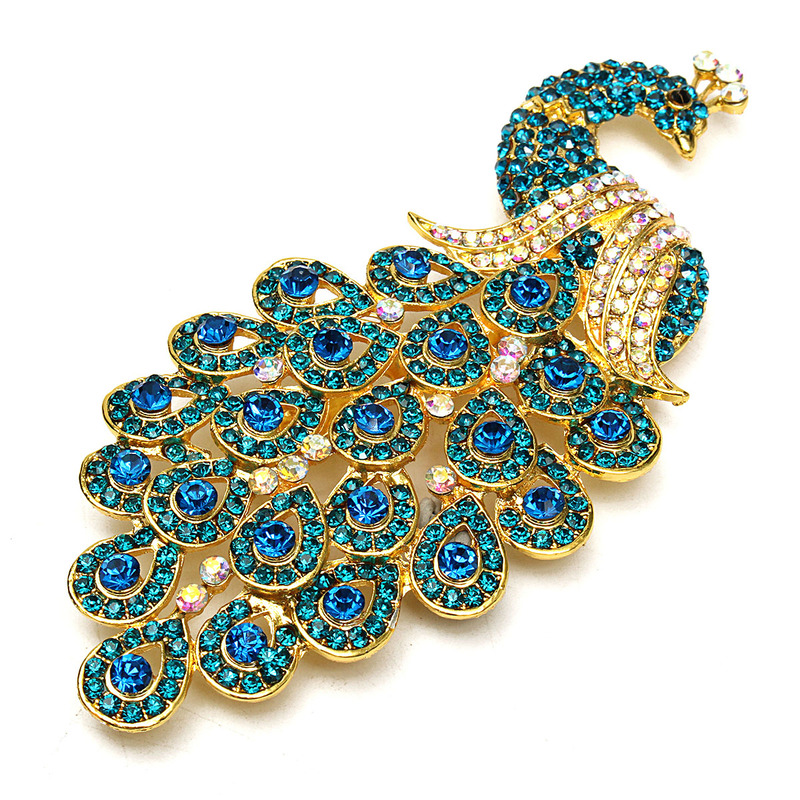 This one is a peacock brooch decorated with many rhinestones, which looks very amazing and elegant so it is very suitable for you to wear to a formal party. And you can also bring your mother as a gift. This one is the wonderful decoration for your wedding dress. 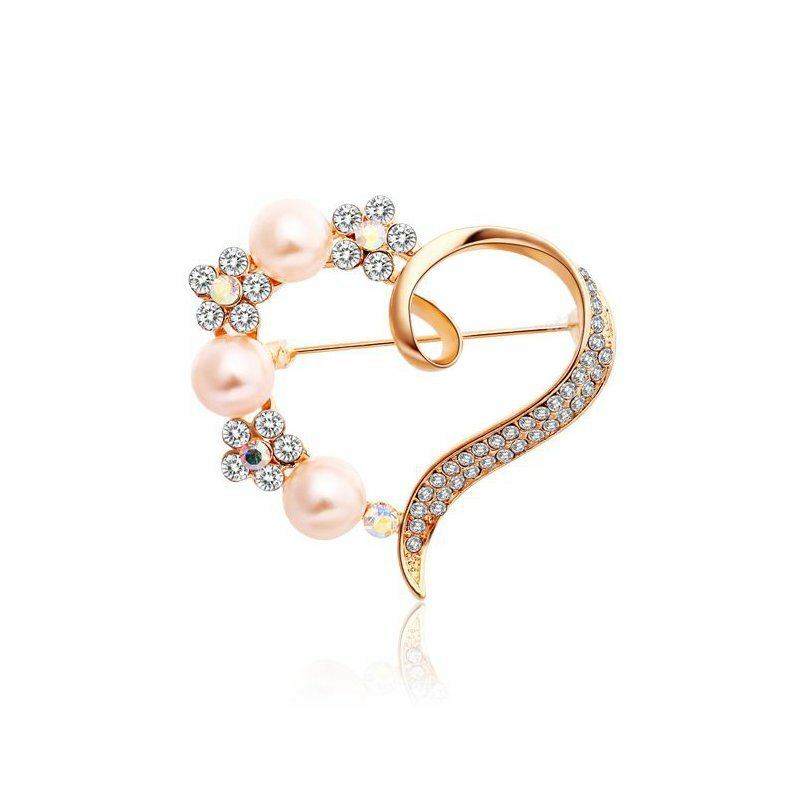 Pure pink pearl and heart shape are the symbol of your pure love. And it is also the wonderful decoration for your hair style. ← How to Choose a Wonderful Bracelet?